Join us for a communal updating of Wikipedia entries to improve coverage of Latin American arts & culture and to counter geocultural systemic bias on Wikipedia! We will convene in the foyer of the Fisher Fine Arts Library. Everyone is welcome! Stay for part or all of the time. 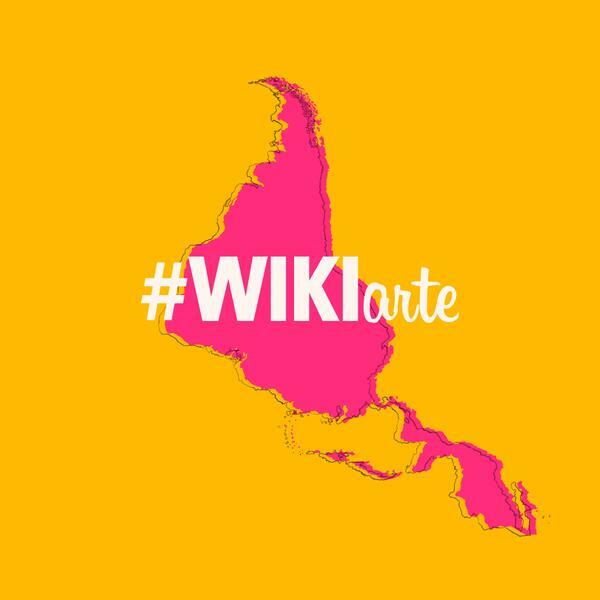 For more information on this edit-a-thon initiative, see the WikiArte (Wiki Arte y Cultura Latinoamerica) edit-a-thon campaign site. Image credit: “Logo of WikiArte edit-a-thon campaign. ” Creative Commons Attribution-Share Alike 4.0 International. Design by Victor Ortiz-Palau - Colección Cisneros. This is the second event of our Month of Wiki edit-a-thons. We hope you can join us for all three! Update Wikipedia entries on subjects related to art, gender, and feminism!